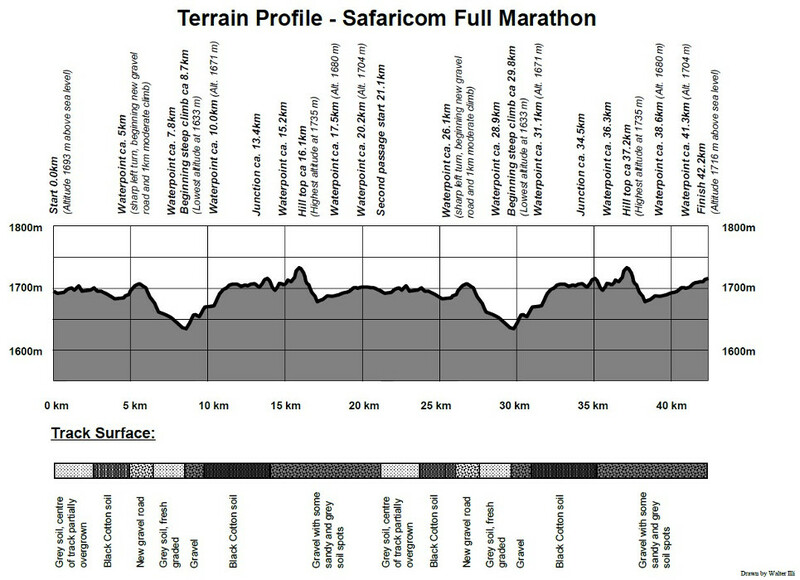 The course is set on dirt roads that take the runners on a route through the conservancy – across savannah plains, along river banks and through acacia woodland. 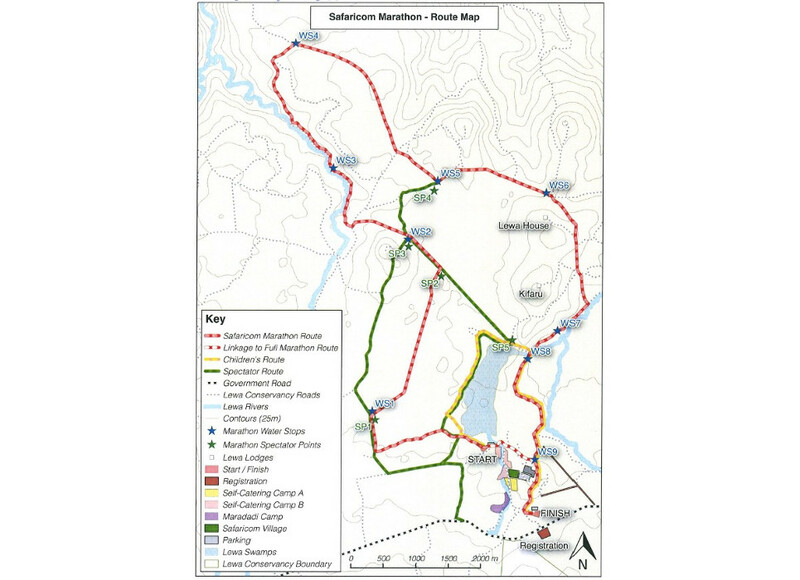 Half Marathon runners complete one loop of the course (21.1km / 13 miles), Full Marathon runners, two (42.2km / 26 miles). The entry fee for the Full and Half Marathon is £200 . Your place will only be reserved once full entry fee payment has been received. In addition, there is a minimum fundraising requirement of £1,500 per person. The entry fee for the Kids 5km Race is £50 and for Spectators it is £100. There is no fundraising requirement for children (or spectators), although we encourage everyone to do what they can to raise funds and awareness for the cause. There are two age categories for the Children’s 5km Race – 10 to 13 and 14 to 17 (inclusive). 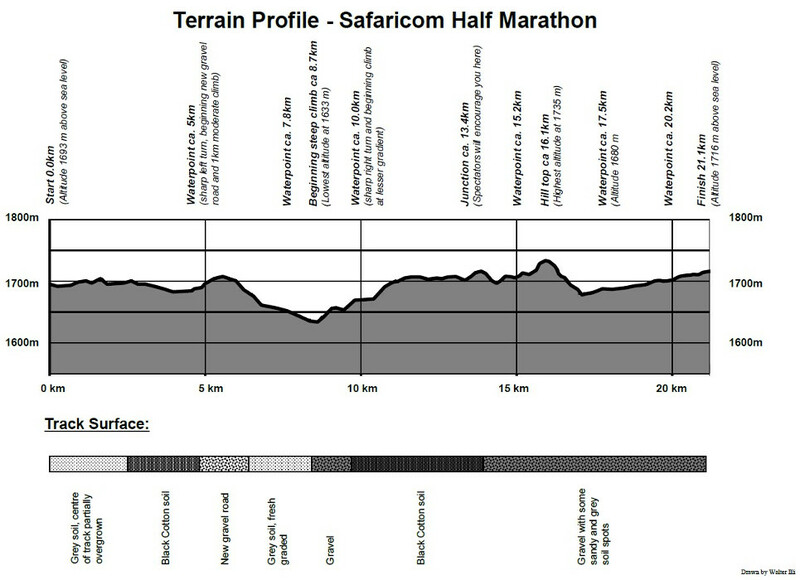 Please make sure you have read the Safaricom Marathon Race Rules. You can download a copy by clicking here. Each runner will be given their running number at Race Registration at Lewa. Your running number and colour determines whether you are a full or half marathon runner as well as whether you are male or female. Please ensure your number is fixed to the front of your shirt with the four safety pins provided. Please complete the medical/contact information on the back of your running number, as this will help the organisers in the event of an emergency. Your running number is fitted with a chip timing device which will record your race time when you cross the mat at the finish line. Your chip is programmed to your running number and entry information. There will be frequent water stations on your race route (every 2.5km). An isotonic drink, as well as oranges and bananas will be provided at every water station for full and half marathon runners as well as at the finish. A helicopter is on standby to collect any runner who needs urgent medical attention and to take them to the AMREF tent at the finish. Should anyone require further medical treatment, fully equipped planes are on standby evacuation to Nairobi. An annual subscription to AMREF Maisha Bronze scheme is included automatically in your registration fee. This subscription allows up to two air evacuations within Kenya annually in case of a medical emergency. Please note this is NOT medical insurance and will only cover the cost of evacuation by air ambulance. All runners are required to have full medical insurance. The event will not be liable for any medical costs beyond air evacuation. Upon completion of the race, each runner is presented with a medal and goody bag. Prizes for race and age group categories, and corporate fundraising, are awarded at a prize giving ceremony at 12.30pm.